Each resident's room provides a 'home from home' environment, and we encourage our residents to personalise their own space. 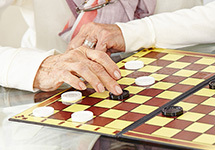 It is the goal of our experienced, well trained care staff to ensure each resident remains independent and active. Every Service User is respected and treated as an individual. All of our residents have their own personal care plan. We want our residents to be as active and engaged as they can be, offering a varied range of daily activities. 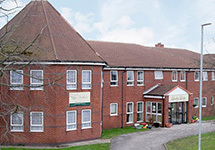 Situated in the heart of the market town of Kirkby in Ashfield in Mansfield, Nottinghamshire, and with easy access to road and rail, Loxley Lodge Care Home is surrounded by green spaces with a conservation area close by. The home provides support when needed whilst encouraging continued independence for individuals as much as possible. Support can include assistance with personal care, washing and dressing, bathing and taking medication. 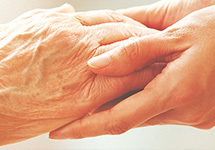 The home involves residents and their families as much as possible in the decisions within the home, and has achieved the Dementia quality standard, which demonstrates excellent care for people who live with dementia. The 42 rooms within the residential care home provide generous space for residents, with everyone encouraged to personalise their environment with familiar pictures and photographs from home. The decor of the care home was recently updated and is light and bright throughout with modern furnishings and fittings. The home also benefits from communal areas offering additional space in which residents can spend time with others, socialise and meet their friends and family. Our garden is always a popular spot in the warmer months and we encourage our residents to get hands-on and involved in keeping it looking bright and attractive.